Reliance Retail’s JioFi devices contributed 78% market share. LTE based MiFi devices captured 92% market share in terms of unit shipments. 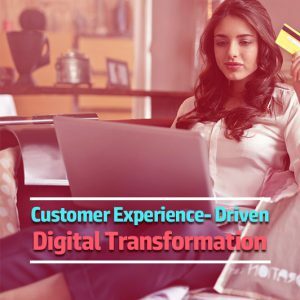 Up to 75% of data cards were sold under 25-50 USD price band in 1H CY2018. 79% of data cards were seen operating on Qualcomm Chipset. 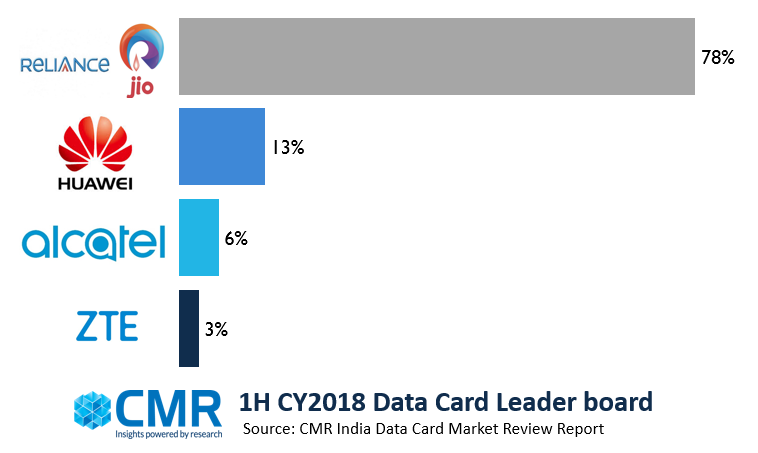 Gurugram/New Delhi, August 29, 2018: The Indian Data cards (USB & MiFi) market witnessed 15% decline in 1H CY2018 when compared to 2H CY2017, as per CMR’s India Data Cards Monthly Market Review released today. “1Q CY2018 slowed down towards the end due to previous stock clearance. FY2018-19 started at a good pace as there were fresh imports. 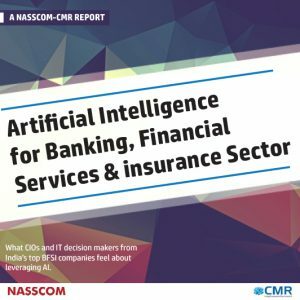 However, it again slowed down due to holidays and to make way for new imports during the 3Q CY2018 for the forthcoming festive season,” observed Shipra Sinha, Lead Analyst, CyberMedia Research. “Reliance Retail’s JioFi 3 model contributed 57% market share and witnessed massive 199% growth when compared to 2H CY2017 in terms of unit shipments and proved to be the flag bearer of JioFi devices growth. Alcatel’s R217 MiFi launched with Vodafone operator support also witnessed huge 87% growth when compared to 2H CY2017 in terms of unit shipments. The model comprises all the features required for a superfast mobile Wi-Fi experience and is cost effective,” added Shipra Sinha. In terms of technology, 4G/LTE data cards were the only contributor. However, this category witnessed 14% decline when compared to the 2H CY2017 in terms of unit shipments. Reliance Retail continued its dominance in the overall data cards market with 78% market share in 1H CY2018. 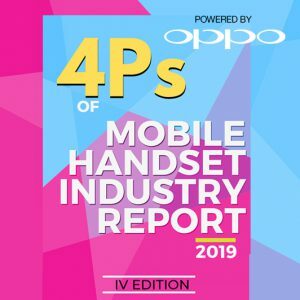 Huawei was at number two spot, with a 13% market share and Alcatel captured the third spot with 6% market share respectively in terms of unit shipments. The service provider market underwent consolidation, and was confined to just four vendors in 1H CY2018. “Going forward, 2H CY2018 will witness a marginal spike during festive season, before slowing down towards end of the year. We anticipate the data card shipments to touch 4Mn by the end of 2H CY2018. LTE/4G based MiFi devices will continue to dominate the data cards market majorly due to its portability, inbuilt battery and lightning-fast internet. The digital telephone services like voice and video call available with the MiFi devices will further drive its growth in near future.” Shipra concluded. CMR runs a comprehensive monthly market update on the India Data Cards market. The report accounts for ‘legal’ shipments only, does not include ‘grey’ market shipments or units brought from abroad by individuals as part of personal baggage. CMR uses the term ‘shipments’ to describe the number of data cards leaving the factory premises for OEM sales or stocking by distributors and retailers. For the convenience of media, the term ‘shipment’ is sometimes replaced by ‘sales’ in press releases, but this reflects the market size in terms of units of data cards and not their absolute value. For more information on CMR’s India Data Cards Market Report, please contact Shipra Sinha at +91 9740944550 or ssinha@cmrindia.com. CMR offers industry intelligence, consulting and marketing services, including but not limited to market tracking, market sizing, stakeholder satisfaction, analytics and opportunity assessment studies. Its bouquet of consulting services includes incubation advisory, go-to-market services, market mapping and scenario assessment services. CMR is servicing domestic as well as international clientele in India and few global destinations. The clientele serviced represents SMBs, Large Enterprises, Associations and Government. CMR’s core value proposition encompasses a rich portfolio of syndicated reports and custom research capabilities across multiple industries, markets and geographies. 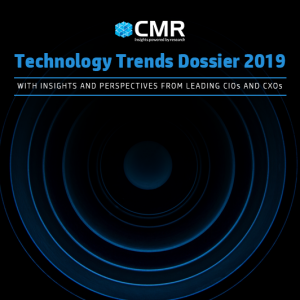 A part of CyberMedia, South Asia’s largest specialty media and media services group, CyberMedia Research (CMR) has been a front-runner in market research, consulting and advisory services since 1986. CMR is an institutional member of Market Research Society of India (MRSI).